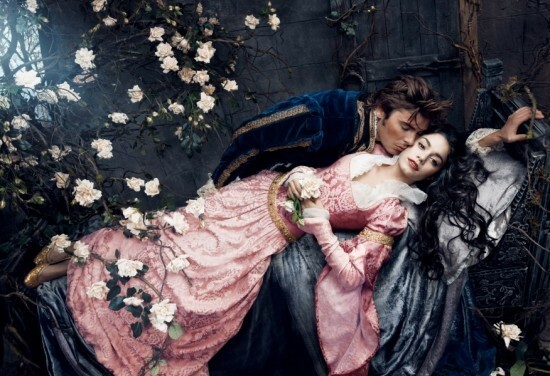 The Disney Dream Portrait Series is a series of photographs taken for the Walt Disney Parks and Disney Cruise Line's "Year of a Million Dreams" campaign, by portrait photographer Annie Leibovitz. 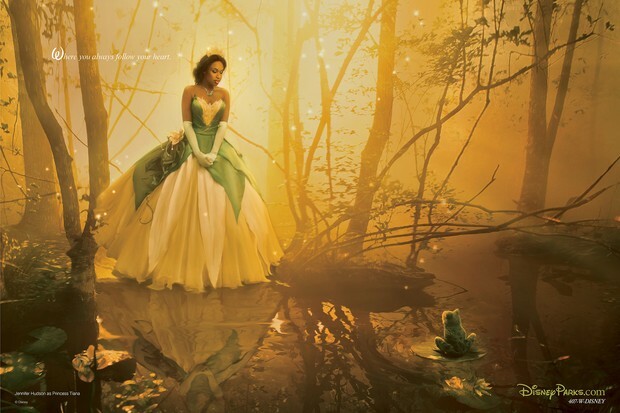 This is a photo featuring Academy Award-winning actress Jennifer Hudson as Tiana. 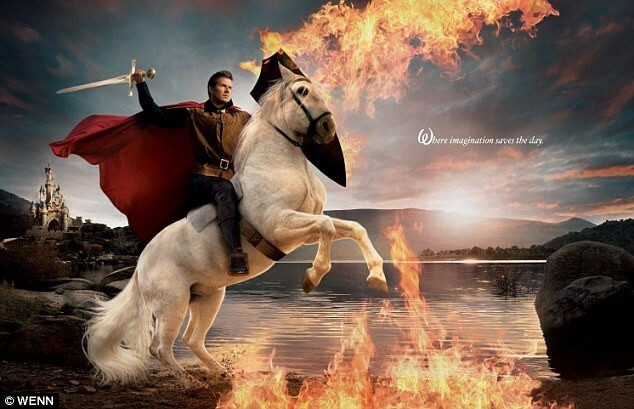 Annie takes celebrities and puts them in the roles of iconic Disney characters in their fantastical movie settings. 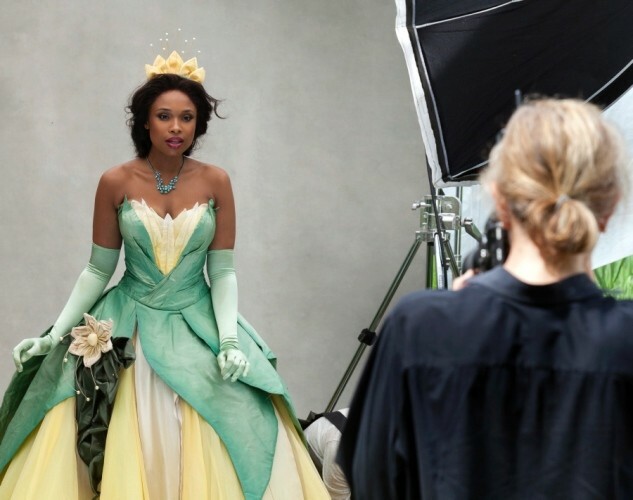 This photo of Jennifer Hudson as Princess Tiana was taken in a place in an actual swamp, called The Great Swamp, in New York. 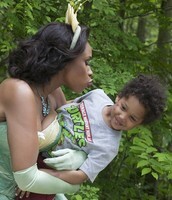 Annie sets up each photo to have it relate to the character that it is based on, in this case Jennifer is in the swamp with the frog Prince Naveen. 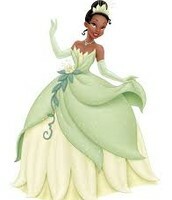 Tiana is a character based on Princess Emma, the heroine of E. D. Baker's novel The Frog Princess. 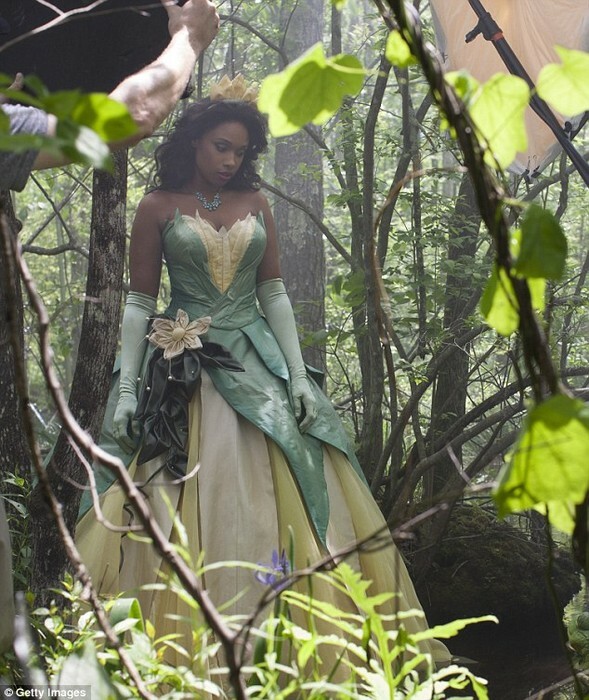 In the movie The Princess and the Frog, Tiana is a hardworking waitress who dreams of opening her own restaurant, when she unexpectedly she transforms into a frog after desperately kissing a self-conceited prince who has been turned into one by an evil witch doctor. 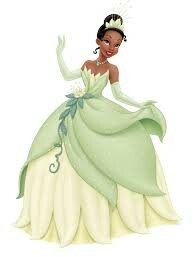 Tiana, the 9th Disney Princess, is unique because she is the first of African American heritage. Jennifer relates to this character because she too is a hard working African American, who had a goal she wanted to accomplished. 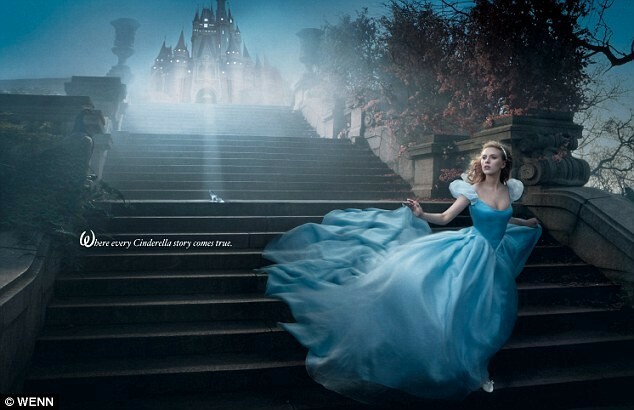 I like this portrait because it incorporates a very famous new Disney movie, and also a well known actress and singer, who is new and fresh, with a twist in it. Jennifer started as a performer for Disney Cruise Lines, made a name for herself on American Idol, and was recognized for her acting talent with an Academy Award. 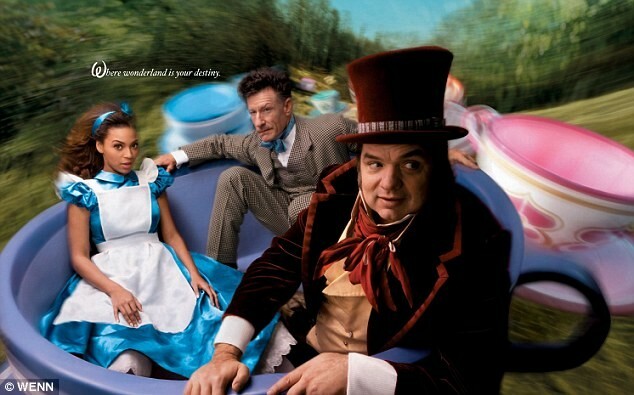 I feel like this is a unique picture because Jennifer relates to Tiana so well and Annie took that and captured it in a photo. The swamp ties into the movie and the way Jennifer is posed looking all dreamy, floating on top of the water makes this photo seem flawless. Jennifer is a classy, strong, enthusiastic African American, who had a dream and achieved it and I believe this photo shows that.